The New Yorker has released the cover of its next issue online, and it brilliantly encapsulates the tension that has taken over Ferguson, Missouri, a suburb of St. Louis that has been racked by protests recently. 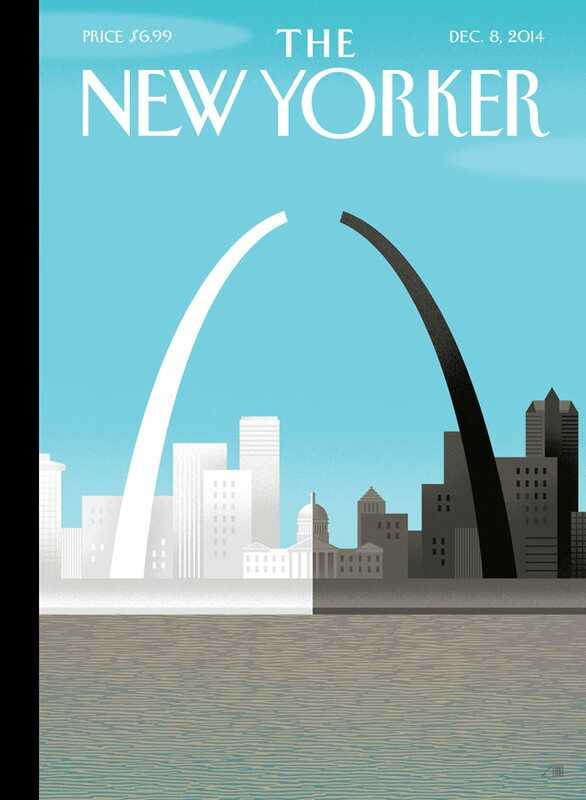 The illustrator, Bob Staake, told The New Yorker he “wanted to comment on the tragic rift that we’re witnessing” in Ferguson and across the country. St. Louis is one of the most segregated cities in America. Throughout the past century, the city has experienced “white flight” — white people progressively moving away from the city’s urban center and out into the suburbs. The Washington Post notes that while two-thirds of Ferguson’s residents are black, the city’s police department only has three black officers (out of 53), and most of the top city officials are white. 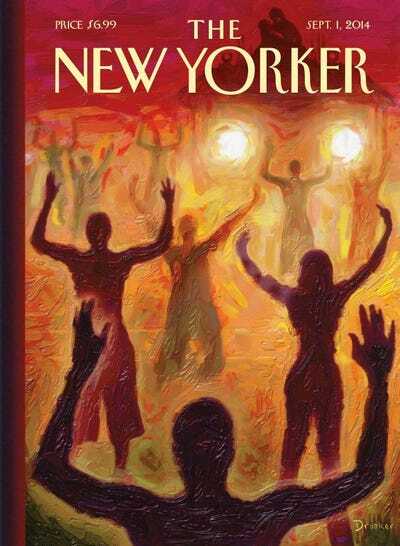 Ferguson has been ripped apart by protests and riots since the police shooting of unarmed black teenager Michael Brown. Stores have been looted and buildings and cop cars have been set on fire. The protests have at times turned violent, with riot police firing tear gas into crowds. Demonstrations picked up again this week after a grand jury declined to indict Darren Wilson, the white cop who shot Brown after stopping him and a friend for walking in the middle of the street. Wilson claims he shot the teenager in self-defence. He told investigators there was an altercation in his police vehicle and Brown grabbed his gun. However, other witnesses have told a different story and said Brown had his hands up in a sign of surrender and was running away when he was shot.